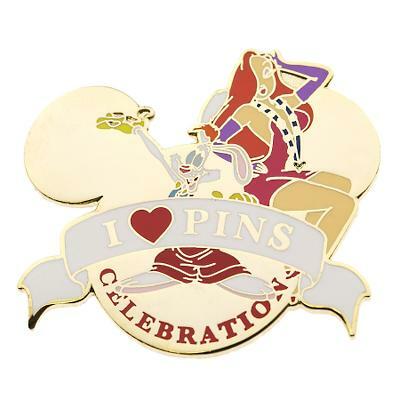 Released back when there were two big pins sales a year, this I (heart) Pins design features Roger and Jessica celebrating their love of Disney pins. The Background is a gold Mickey icon. 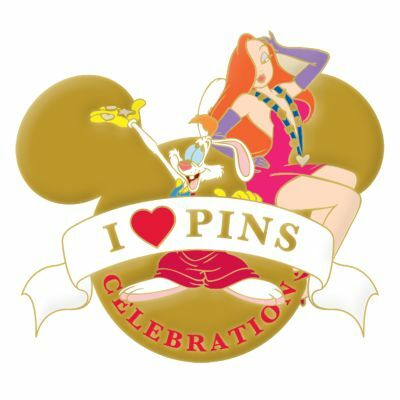 Roger is holding pins and Jessica is wearing a lanyard.